If you want to start, buy, or expand a business in the U.S., the L-1 Visa may be ideal for your U.S. visa needs. Overview. The L-1 visa is especially useful for business owners and immigrant entrepreneurs who want to start a new business, expand their existing business, or “test the waters” of doing business in the U.S. without a big investment. One can simply form a subsidiary or affiliate in the U.S. or open a new office and start transferring foreign employees under he L-1 visa. No minimum investment and no set number of employees must be hired, however, the company has to show that after one year the company can support the activities of the L-1 visa holder. For more established foreign companies that are expanding or growing in the U.S., the L-1 Visa is also perfect for temporarily bringing an executive, manager (both covered by the L-1A visa), or employees with specialized knowledge or skills (covered by the L-1B visa) to the U.S. to fill a position. 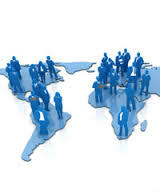 The foreign corporation must be a trading/operating corporation, not merely and investment corporation. An example of an investment corporation is a property owning corporation which merely owns a few rental properties and which does not require daily work on the part of employees. On the other hand, a development corporation that has developed many homes, buildings, commercial properties over a period of time and is constantly purchasing and developing property is a trading corporation. A qualifying relationship must exist between the U.S. company and foreign company, such as parent company, branch office, subsidiary or affiliate. 1. One corporation owns at least 50% of the other corporation and controls it. 2. One company owns less than 50% of another company but controls it (e.g. a public corporation). For the purpose of establishing a new office, the company must have secured a sufficient physical space to operate the business. The size of the office depends on the nature of the business. The company cannot operate the business from home. A new office must be active and operating within one year after the L-1’s admission to the United States. Withing a year the business should complete the process of hiring additional employees, fulfillment of contract orders, having a revenue stream, or holding inventory, if applicable. There is no minimum dollar amount investment required to obtain this visa. After 1 year the new office must support a managerial or executive position to qualify for an extension of stay in the L-1A classification. 2. To demonstrate that the qualifying organization employ the principal L-1 beneficiary abroad for 1 continuous year out of the 3 years before the time of petition filing (“one-year foreign employment requirement”). 2) the petitioner and the beneficiary must meet all requirements, including the 1 year of foreign employment, at the time the petitioner files the initial L-1 petition. The USCIS Policy requires that the one continuous year of qualifying employment must occur outside the United States. Brief trips to the United States for business or pleasure do not interrupt the one continuous year. Business plan or executive summary that shows the size of the U.S. investment and your ability to commence doing business in the United States. Explanation of how this location is sufficient for your business. Use Form I-129, Petition for Non Immigrant worker to apply for L-1 Visa. L-1A managers and executives may work in the U.S. for up to seven years while L-1B individuals with specialized knowledge may work in the U.S. for up to five years, depending upon the individual’s qualifications and the company’s goals. Can dependents (L-2) travel to the U.S. while primary VISA holder is outside of the U.S.? L-2 dependents’ ability to remain in the U.S. on L-2 status (and for the spouse to be able to continue working with EAD) is directly dependent on the L-1B visa holder maintaining valid status by working for his L-1B employer. If an L-1 visa holder is not present in the U.S. , the L-2 dependent might not have the legal right to continue remaining here, and certainly not to work. What is the proper procedure on admitting someone in a valid work visa status (i.e. H-1B, L-1) when that individual’s visa stamp is set to expire imminently (i.e. within a matter of days), yet the underlying petition on which they are seeking admission is not set to expire until far into the future (i.e. a year or two)? The Visa only needs to be valid at the time of entry and not a factor in determining length of admission. What documents are required for an admission? Passport valid for 6 months at time of entry, unless exempt. Non-immigrant visa (L-l), unless exempt. If the alien is otherwise admissible as an individual L-1, admit for validity of petition (up to 3 years initially). If the alien is otherwise admissible as a Blanket L-1, initially admit for 3 years, regardless of the expiration date of the petition, provided the petition is valid at the time of the initial admission. First time admission blanket L-1’s should be getting 3 years, and on subsequent entries they are admitted until the expiration date on the I-129s. Can I be co-founder of a tech start-up being on L1B visa? As an L-1b you are approved to work only for your employer not any other company. I am on an L-2 visa which will be expiring in six months. My EAD for 2 years will expire in four months. My husband’s L-1 visa and my L-2 visa extension are still in process and may take 2-3 months more. Can I apply for EAD renewal for a short period of 2.5 months since I have a valid visa? It’s not worth it. Simply wait to apply for the extension of your L-2 status, which you could have applied for together with your husband’s L-1 extension application – it’s never too late. I have an L-2 visa, and I lived in Florida. I want to go on a Caribbean Cruise for 7 days . Will I have a problem? If you have valid L visa you may return to the US from the Bahama’s without a problem. USCIS issued Policy Memorandum to clarify the requirement that the qualifying organization employ the principal L-1 beneficiary abroad for 1 continuous year out of the 3 years before the time of petition filing (“one-year foreign employment requirement”). The one continuous year of qualifying employment must occur outside the United States The one-year foreign employment requirement is only satisfied by the time a beneficiary spends physically outside the United States working full-time for the petitioner or a qualifying organization. 5 A petitioner cannot use any time that the beneficiary spent in the United States to meet the one-year foreign employment requirement, even if the qualifying foreign entity paid the beneficiary and continued to employ the beneficiary while he or she was in the United States. Furthermore, the one continuous year of foreign employment must be qualifying; that is, the petitioner must demonstrate that the beneficiary worked abroad during that time period in a managerial, executive, or specialized knowledge capacity. Brief trips to the United States for business or pleasure do not interrupt the one continuous year While a qualifying foreign entity employs a beneficiary abroad, brief trips to the United States for business or pleasure in B-1 or B-2 status toll6 the one continuous year of employment abroad. Therefore, in such cases, officers should subtract the number of days the beneficiary spent in the United States from the time the qualifying foreign entity employed the beneficiary abroad. For example, if the qualifying foreign entity began to employ the beneficiary on January 1, 2016, and the beneficiary made brief trips to the United States that year for a total of 60 days, the beneficiary would need to accrue at least an additional 60 days of qualifying employment abroad after January 1, 2017, in order to meet the one-year foreign employment requirement. Periods of time in the United States not working or working for an unrelated employer do not result in an adjustment of the three-year period during which the beneficiary must have been continuously employed for one year abroad Periods of time the beneficiary spent in the United States without working (except for brief visits for business or pleasure in B-1 or B-2 status), or while working for an unrelated employer, interrupt the one continuous year foreign employment requirement, and officers should not adjust the three-year period. The relevant point in time for an officer to determine whether a beneficiary satisfies the one-year foreign employment requirement is the date on which the petitioner filed the initial L-1 petition, regardless of when the beneficiary was, or will be, admitted to the United States. Note, that if a beneficiary takes a break in employment with, or stops working for, the qualifying organization as a principal beneficiary for a period of more than two years during the three years preceding the petition filing, then he or she cannot meet the one-year foreign employment requirement and is disqualified for L-1 classification. An otherwise eligible alien may again qualify for the L-1 classification following a new one-year period during which such alien is employed in a managerial, executive, or specialized knowledge capacity by the qualifying organization abroad.